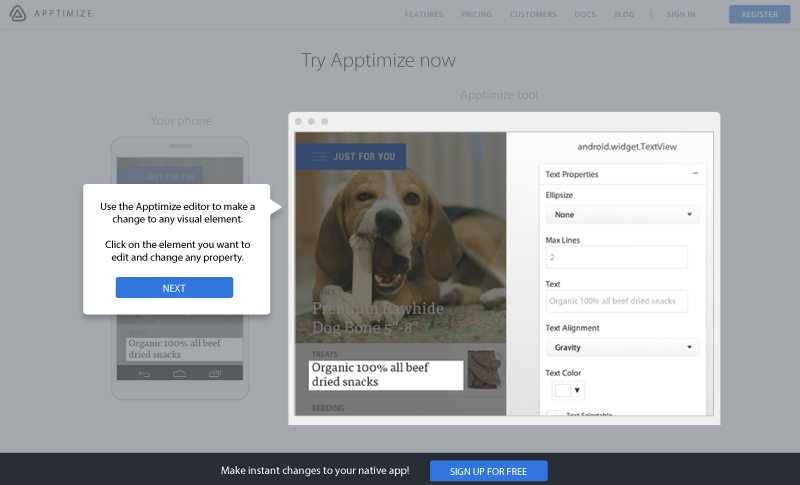 Apptimize is an awesome tool to help mobile developers A/B test or instantly push content updates to their apps. 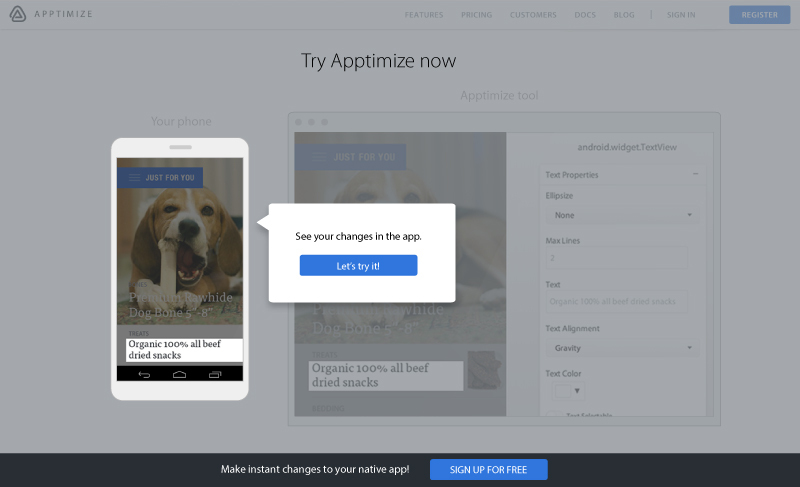 Apptimize has been works closely with their enterprise customers but wanted to improve their onboarding process for self-serve customers. As a freelance designer brought in for this project, I was also a new user and provided a fresh perspective. I collaborated with the VP of Marketing, PM and developer on the UX and UI designs. 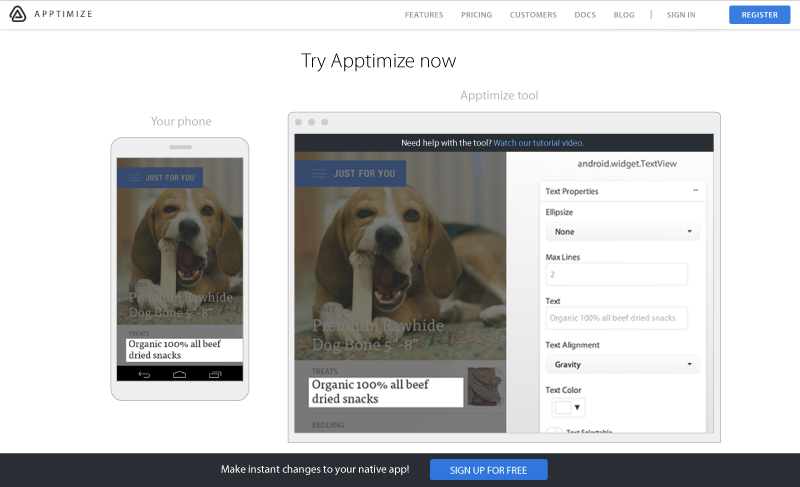 I met Nancy, the CEO of Apptimize, through the YC network. We had a great initial call and one thing she said stuck with me: "I want our users to feel like geniuses!" We all had that moment where you figured something out all by yourself and you feel so @#$%-ing proud! Learning how to use a new interface is actually full of these chances for joy and excitement. However, we make users feel stupid by bombarding them with too much information. 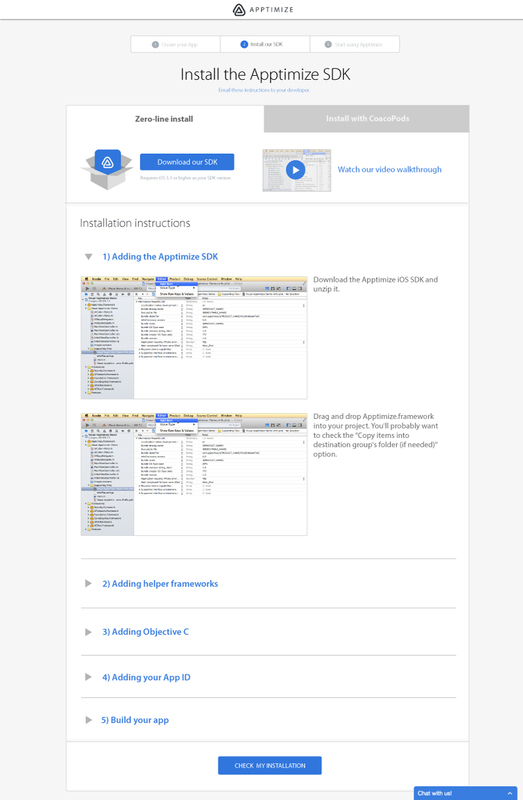 Bad documentation and onboarding are just shifting the burden to learn to the users. 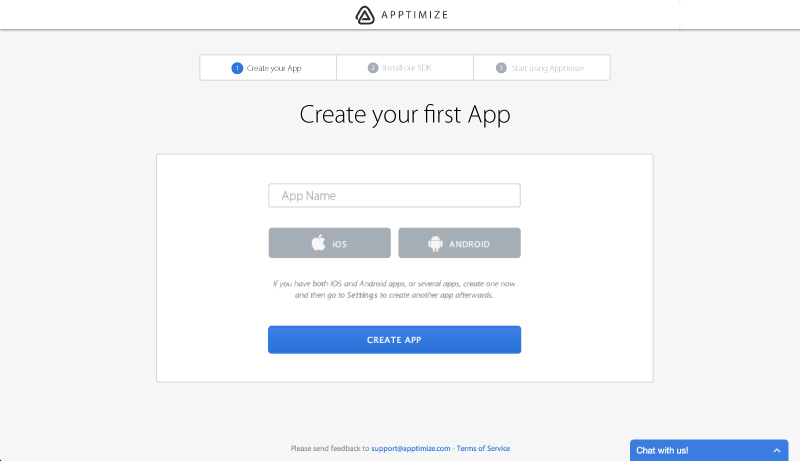 I set out to change that for Apptimize. 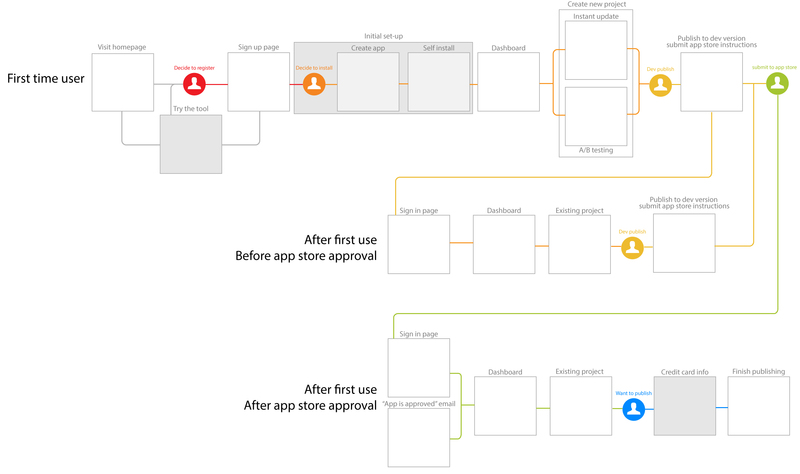 I started by laying out the onboarding flow. I highlighted major decisions that users have to make. 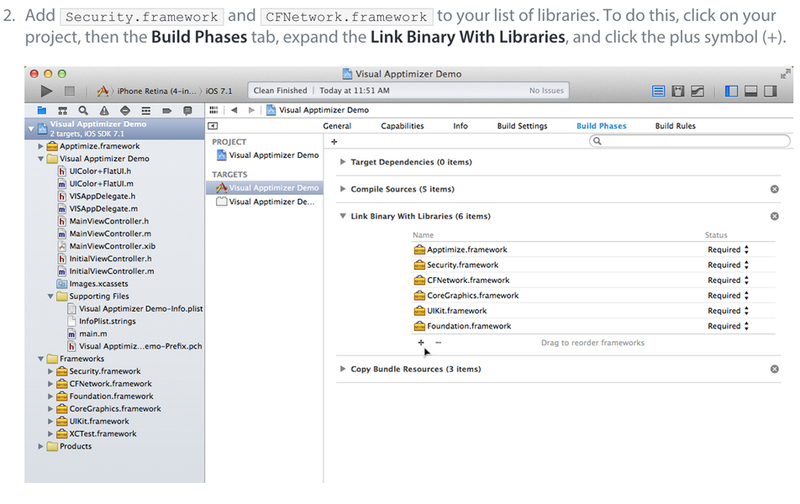 I tried to move the users through the decision process, not ASAP but APAP (as painlessly as possible). The team worked through the different scenarios to make sure we covered everything. 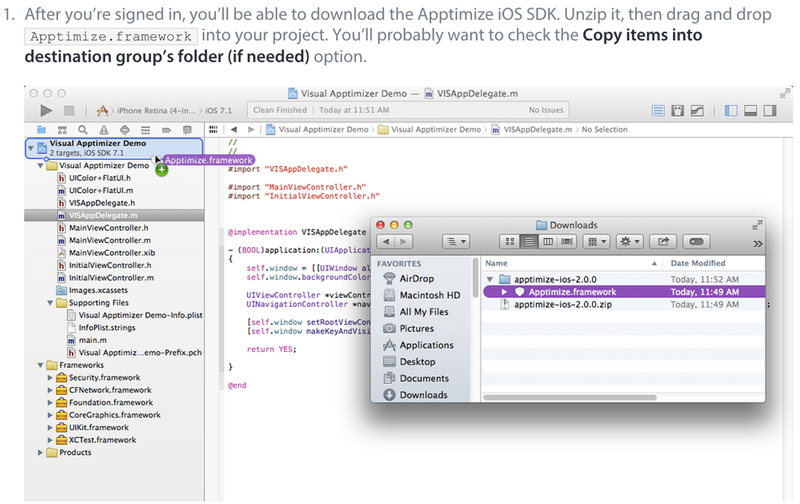 I then created mockups for the steps highlighted in grey. "Try the tool" and "Initial set-up" both educates the users but with very different techniques. 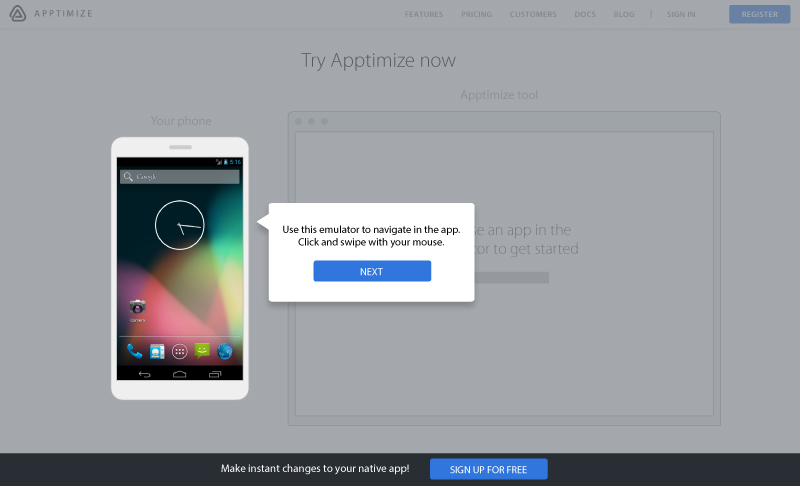 Before signing up, users can actually try a simplified version of Apptimize on an emulator. They can see for themselves how quick it is to update an app. Instead of watching a video or reading about the features, users learn by doing and take as much time as they need to explore the tool. I made the experience more real by establishing the "phone" and "browser" with visual elements. 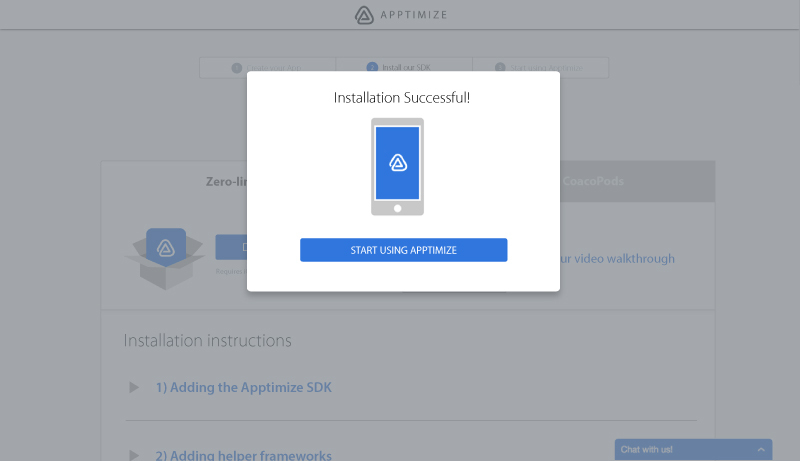 The set-up and SDK installation is the longest and most technical part of the onboarding process. The old documentation was an invitation to skip ahead. 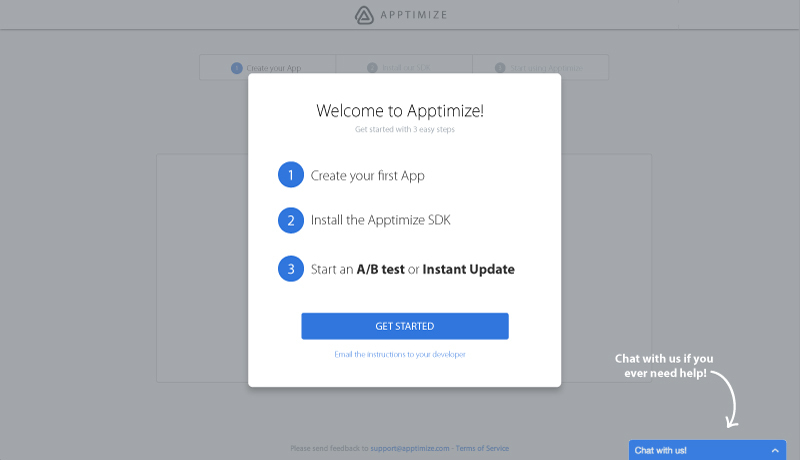 We didn't want users to scroll through all the important information because they can't use Apptimize without the SDK. I organized the text into smaller chunks and established more context to make the information easier to absorb. Awesome features will make the sale but good experience will keep the user for years to come. For full-featured enterprise products, users need to be educated properly to take advantage of all the features. The better they understand the tool, the better they can benefit from it and pitch it to their coworkers. In the long run, it's always better to invest in your users.